Lionel Richie in Montreal or Quebec City? Inform me about the next events for Lionel Richie. Enroll yourself to our priority waiting list for Lionel Richie to be alerted when new tickets are available. Filling this form doesn't engage you to any purchase. Lionel Richie will be back in Montreal on July 28th, 2014 for a concert at the Bell Centre. Ceelo Green will be the opening act. The soul pop American singer sold over 100 million records in his 30-plus-year solo career, in addition to the success he gained with his group The Commodores in the 1970s. 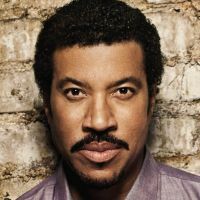 Lionel Richie's popularity reached its peak in the 1980s with hit singles such as "Hello", "All Night Long" and "Say You Say Me". Don't miss Lionel Richie's concert in Montreal this summer !